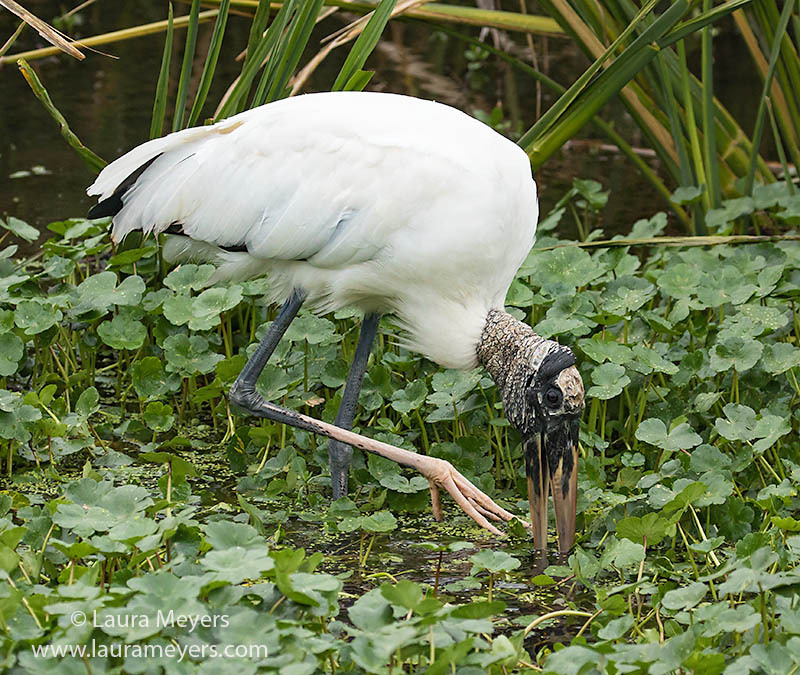 The picture of this Wood Stork foraging was taken at the Sweetwater Wetland Park in Gainesville, Florida during the winter months. There were quite of few Wood Storks along with most of the wading birds at this time. Wood Storks are usually silent, but nestlings make a ruckus at the breeding colonies. Wood Storks make a clattering sound by snapping their bills together during courtship. To hear the sounds of the breeding Wood Stork colonies click on arrow below. It sounds just like it looks. Wonder what the dinosaurs sounded like.